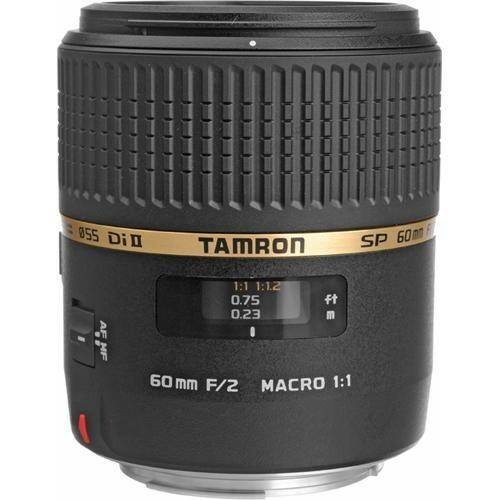 The Tamron SP 60mm f/2 Di II 1:1 Macro Lens is a medium telephoto macro lens designed for APS-C-format Canon EF-mount DSLRs, where it provides a 96mm equivalent focal length. 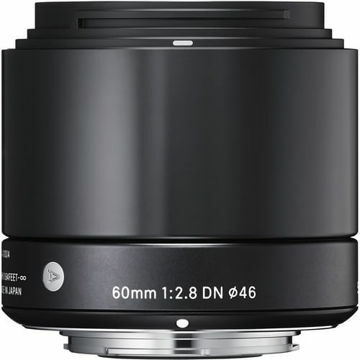 It boasts a fast maximum aperture of f/2 and utilizes a pair of low dispersion elements to control spherical aberrations for increased clarity and sharpness. 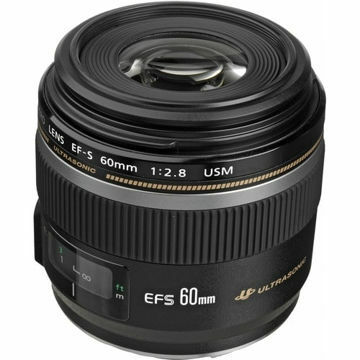 With a fast maximum aperture and seven-blade diaphragm, this lens delivers attractive blurred background effects. As a macro optic, this lens also offers a life-size 1:1 maximum magnification ratio along with a 9.1" minimum focusing distance, which together afford a 3.9" minimum working distance for close-up shooting. Additionally, the lens utilizes an internal focusing design with full-time manual focus override for precise control. This lens is designed so the size of the lens's image circle matches that of smaller-size APS-C format image sensors, and offers a 96mm equivalent focal length. This lens offers a life-size 1:1 maximum magnification along with a 9.1" minimum focusing distance and a 3.9" minimum working distance. With a fast f/2 maximum aperture and seven-blade diaphragm, this lens can help deliver dramatic blurred background effects. A pair of low dispersion element minimize spherical aberrations for greater edge-to-edge sharpness and clarity. The lens features an inner focusing design that maintains the overall length of the lens during use. Full-time manual focus override is also supported for additional control over the focus position.